Race through this epic new adventure as Sonic, Tails, Amy, Knuckles or Sticks to stop Dr. Eggman, and an all new adversary D-Fekt. 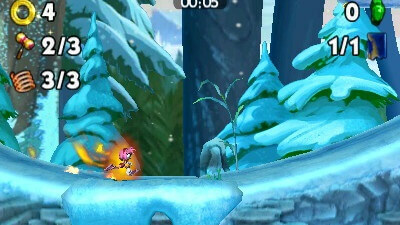 Harness the power of fire and ice to blaze through obstacles, puzzles, and freeze enemies in their tracks. 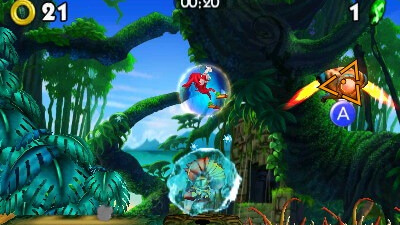 Utilize Sonic's speed, Tails' flight, Knuckles' strength, Sticks' Boomerang and Amy's hammer to explore, fight and race through an undiscovered land. Compete with your friends in 2 player bot racing and unlock 6 new tracks as you collect artifacts throughout the world. Battle bosses so huge they take up both screens. Play mini games filled with challenging puzzles and time trials including a new iteration of the popular Sea Fox. While Fire and Ice’s art direction and music are woefully generic, the well-constructed level layouts create a solid arcade-style experience that accomplishes a sense of extraordinary speed while accommodating a reasonable degree of control. 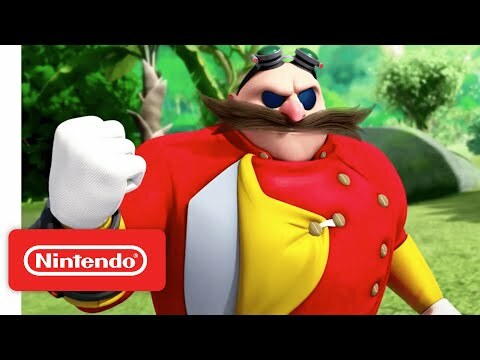 Sonic Boom successfully draws from much of what makes the best of classic Sonic game play satisfying, sprinkles in a better-conceived exploratory structure, and remixes it into an intelligent, cohesive, and rewarding package. Being better than the other Sonic Boom games really isn’t a compliment, as this dull, ugly platformer continues to sully the memory of Sega’s once great mascot. Sonic Boom: Fire & Ice is an enjoyable if easy platformer with a good sense of speed and a handful of fun mini-games.